When it’s time to purchase your next vehicle, you may be considering one of the many Chevy SUVs. Versatile, efficient, powerful, and spacious options are readily available, but which SUV is right for you? At Carl Black Orlando, we are eager to help you select the best vehicle for your lifestyle. So, to get you started, we’ll break down the Chevy crossovers classes and the vehicles that are offered in each category. From the subcompact Trax to the full-size Suburban, Chevy is sure to have the perfect SUV for you. Essentially, each class is defined by its size. For example, subcompact SUVs will be the smallest option available while full-size SUVs are the largest option available. However, as vehicles become larger and the classes advance, so do their capabilities. While many subcompact SUVs do not offer towing capabilities, many full-size SUVs offer enough to compete with pickup trucks. In order to determine which SUV class is right for you, you’ll have to determine what you’re looking for out of your new SUV. To get you started, here’s a quick break down of each class and the corresponding Chevy SUVs available. The subcompact class represents one of the smallest SUV options. Typically vehicles in this class are incredibly efficient, easy to maneuver, seat up to five passengers, and offer little to no towing capacity. The Chevy Trax is a subcompact SUV that has been available on the market since 2013. It is incredibly efficient, affordable, and safe, and has consequently become a popular vehicle among consumers. For the 2019 Chevy Trax, drivers can expect fuel economy ratings of up to 26 mpg in the city and 31 mpg on the highway. In the subcompact class, the 2019 Chevy Trax even offers class-leading space with up to 48.4 cubic feet of cargo volume. Equipped with advanced driver assist technology and additional onboard safety features, the new Chevy Trax has earned a 5-star overall rating from the NHTSA, making it an incredible option for small families. The Chevy Trax is not the ideal vehicle for drivers looking for a powerful and capable SUV, however is better suited for those looking for efficiency, maneuverability, and comfortable seating for up to five passengers. The compact SUV class is one of the most popular SUV classes and is incredibly efficient and versatile. Vehicles in this class typically provide seating for up to 5 passengers and offer low to medium towing capacity. Like the Chevy Trax, the Chevy Equinox is an SUV that seats up to five passengers. However, the Chevy Equinox is larger, more versatile, and even slightly more efficient with its standard engine. The 2019 Chevy Equinox has a starting MSRP of just $23,800, which is further improved when considering its fuel economy ratings of up to 28 mpg in the city and 39 mpg on the highway. Drivers looking for a capable SUV will be pleased with the Equinox’s maximum towing capacity of 3,500 LBS. When it comes to space, the 2019 Chevy Equinox offers plenty with its five-passenger seating capacity, providing up to 63.9 cubic feet of cargo volume. Overall, the Chevy Equinox remains one of Chevy’s most popular SUVs. If you’re looking for space and capability, without having to sacrifice efficiency, this may be the perfect SUV for you. This class typically offers seating for up to eight passengers, is moderately fuel efficient, provides medium to high towing capacity, and has plenty of cargo space for belongings. 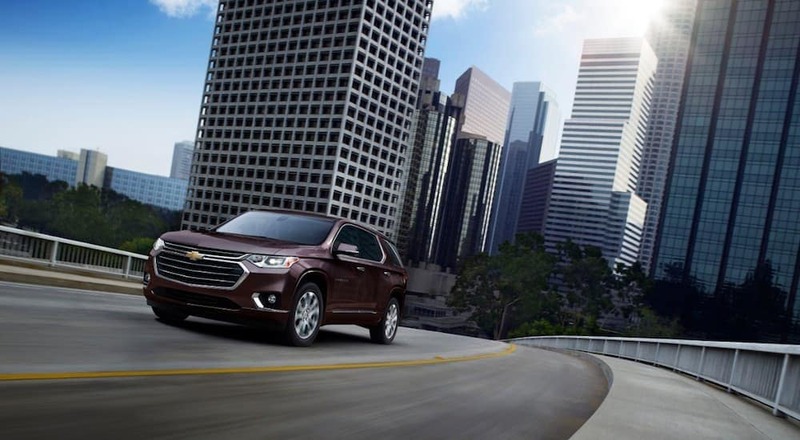 The Chevy Traverse is a midsize SUV with a 7-8 passenger seating capacity. The 2019 Chevy Traverse offers drivers an impressive 98.2 cubic feet of cargo space, making it an excellent choice for drivers looking for plenty of room to stow belongings. The Chevy Traverse is also incredibly capable and with its newest model allowing up to 5,000 LBS of towing capacity when equipped with its 3.6L V6 engine. This level of power does lower the vehicle’s efficiency when compared to its subcompact and compact rivals. However, with ratings of up to 20 mpg in the city and 26 mpg on the highway, the Traverse offers satisfactory efficiency in the midsize class. The Chevy Traverse is an excellent choice for drivers looking for a spacious 7-8 passenger SUV with a high level of capability. 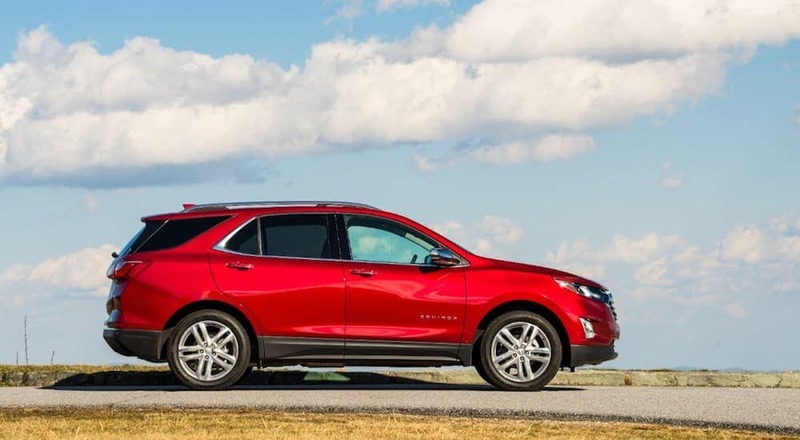 Despite being in the midsize class, the Traverse starts at only $29,930, making this versatile Chevy SUV an affordable choice for many drivers as well. This is the largest SUV class, which offers the ultimate in towing capacity, horsepower, torque, and cargo space. This class is ideal for drivers looking for a high level of performance and plenty of space in their next SUV, without prioritizing fuel efficiency. The Chevy Suburban is one of two full-size SUV options available at your local Chevy dealer. It is extremely popular among consumers for its class-leading horsepower, torque, and towing capacity. Like the Traverse, this Chevy SUV can seat up to eight passengers. However, the Suburban offers even more space for each passenger and their belongings. As one of the most spacious and capable SUVs on this list, the Chevy Suburban has the highest starting MSRP at just over $50K. However, drivers and critics note that power, versatility, and standard features make it well worth the investment. The Tahoe is another full-size SUV offered by Chevy and is very similar to the Suburban. Drivers looking for power in their new SUV will be more than pleased with the Tahoe’s performance specs, which include 420 hp, 460 lb-ft, and up to 6,600 LBS of towing capacity. These numbers easily rival many compact and full-size pickup trucks available on the market and make this SUV an excellent choice for drivers looking to tow heavy gear along with a cabin full of passengers. The Chevy Tahoe starts at a slightly lower MSRP than the Suburban at $47,900. Overall, both the Suburban and Tahoe are excellent options for drivers looking for a powerful, capable, and spacious SUV. With leading specs in the full-size SUV class, these are two vehicles you’ll want to check out at Carl Black Orlando. Still Need Help Choosing The Right Chevy SUV? 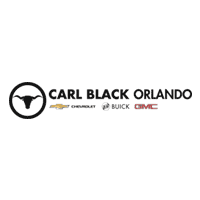 Visit Carl Black Orlando Today! If you’re still not sure which SUV class best suits your needs, don’t worry! The team at Carl Black Orlando is more than happy to help you determine which option best suits your needs. And once you’ve chosen the right vehicle for your lifestyle, you can feel confident that the finance team at Carl Black Orlando will help you secure the financing you need to match your desired budget. Even the in-house service center will be at-the-ready to help set up a maintenance plan for your new vehicle and take care of any future repairs. So, when you’re ready to start searching for your next SUV, visit Carl Black Orlando!